Google Adsense is a cost per click advertising platform owned by Google which most bloggers depends on to monetize their blogs. 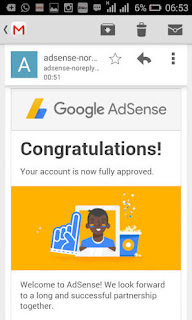 Verifying your UK Adsense in Nigeria tutorial is meant for those who have a newly approved Adsense account or unverified Adsense account from countries like UK and USA which they would want to verify so as to enable them receive their payments at the end of the month. Step 1: First thing first, a UK address where Google will send your verification PIN to is required. If you have friend in Uk who can send the PIN to you fine. Step 2: If i don't have a friend in UK how do i go about it then? All you need to do is to Register with these website shoptomydoor.com and they will provide a UK address for you. Step 3: Enter the UK address which was generated from shoptomydoor to your Google Adsense. That is where your verification PIN will be sent to. Step 4: Shoptomydoor will communicate to you via mail or give you call when you get the mail from google Adsense. You then have to pay $10 before they will ship the mail to Nigeria address where you can receive it and then verify your UK adsense account by yourself. Step 5: you can make the $10 payment to shoptomydoor via your Nigerian MasterCard, Visa Card etc. 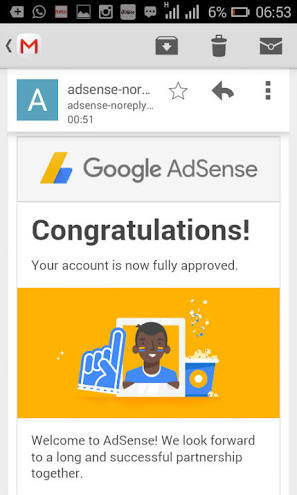 Now you can easily verify UK Adsense in Nigeria by yourself.